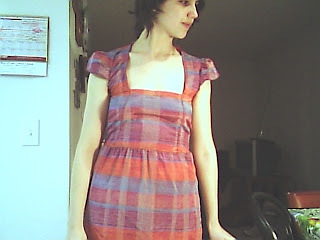 I made this dress a month ago from an old thrift store find. the first picture looks like something one of those weird women with bonnets and regular white sneakers would wear. I know! 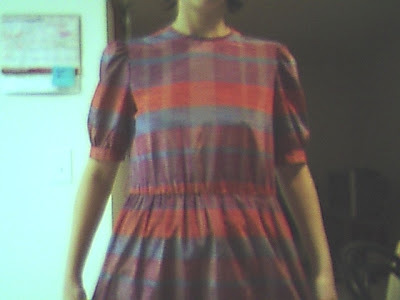 I almost re-thrifted it because I didn't see any potential in it. I'm glad I didn't.